After making Ripple in October, and wearing it constantly since then, I knew my first order of business after finishing my Christmas presents was to knit myself another hat. The pattern I chose is Stella, a free download from MadelineTosh. The yarn is Sundara Sock in Cactus Rose, held double and knit with size 6 and 8 needles. If I had it to do over again, I would probably go down a needle size or two. The pattern was written to be just a little too floppy for my tastes – but not enough that I won’t wear it. 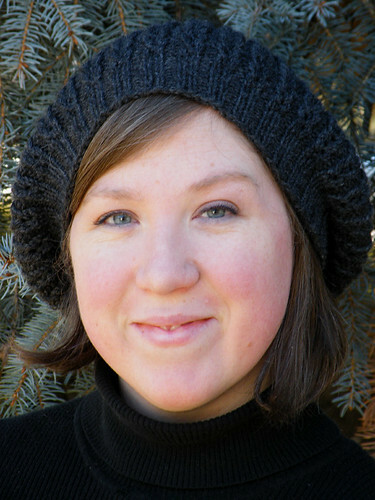 After finishing Stella I realized hats are the perfect project for me right now – they’re quick, easy but fun to knit, and this time of year I can get a lot of mileage out of them. 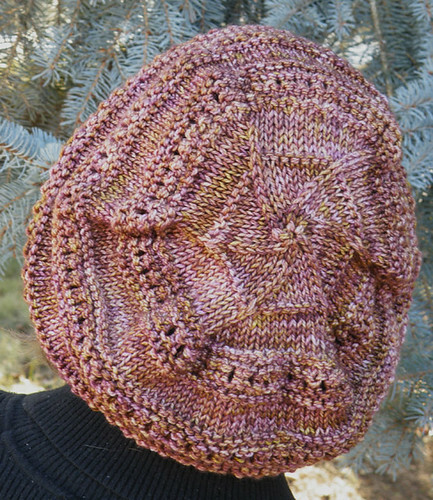 After searching through patterns on Ravelry I decided my next hat would be Porom. Porom is a BrooklynTweed pattern. 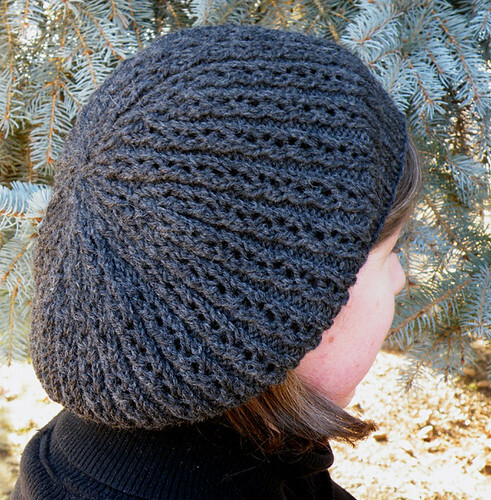 It’s knit out of Valley Yarns Northampton in Dark Grey – a color I’ve really grown to love lately. I used size 4 and 6 needles. When I tried this hat on for the first time my reaction was “Yes! This is so me!” Then I put on my black pea coat and realized, no matter how much I may love other hats I knit, this is THE HAT. We will be seeing quite a lot of each other this winter. Unless something unexpected happens today, look for another finished project post tomorrow – this time it’s a sweater! How absolutely perfect are both of these hats! They look beautiful on you! Your Porom is gorgeous! You’ve inspired me – I’m going to make one, too. 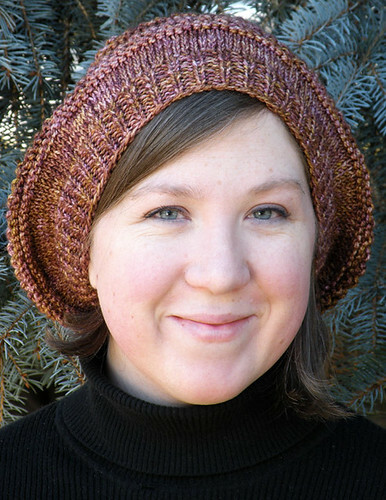 I love Porom on you – and I have also made this hat ….twice! I have a “bigger” head but Porom is great. Made mine in Jamieson’s Spindrift and living up here in Quebec, always have one in my bag! It’s fantastic and it looks great on you. I always pass over grays, and really, I love it too. I’m hoping to knit more with neutrals this year, just to give them a little love. I have a feeling a dark grey sweater will be one of my projects this year. I like neutral colored clothing, especially black, but there’s something about it that makes me shy away from it in knitwear. Oh, I adore your Porom. And I adore the pattern itself, but I haven’t worked up the nerve to actually pay money for it yet – my budget mainly goes toward rent and yarn. Those styles suit you to a T! Very cute hats and great pictures! Hat is cute and cute on you! Em, These pictures could be the cover of a magazine. You and your hats are beautiful! Both are lovely, and you are stunning! wow. i love stella!! what a gorgeous colorway and an even more fantastic shot of you in it!